If you ask most people what they want to do for their birthday, they might suggest a fun social outing, a nice meal at a restaurant, or maybe having a slice of cake. Rishabh had different ideas, to say the least. When his birthday rolled around, Rishabh had just gotten started selling on Amazon, and he needed to take a few photographs of his newly-launched product. So instead of enjoying some birthday cake, Rishabh, his family, and friends all gathered around and worked feverishly for hours trying to get the perfect shot of his product and its constituent parts. It’s that kind of tenacity and can-do attitude that helped Rishabh get started on Amazon in the first place. One summer, Rishabh found himself with some extra time on his hands and an interest in earning a little extra money. 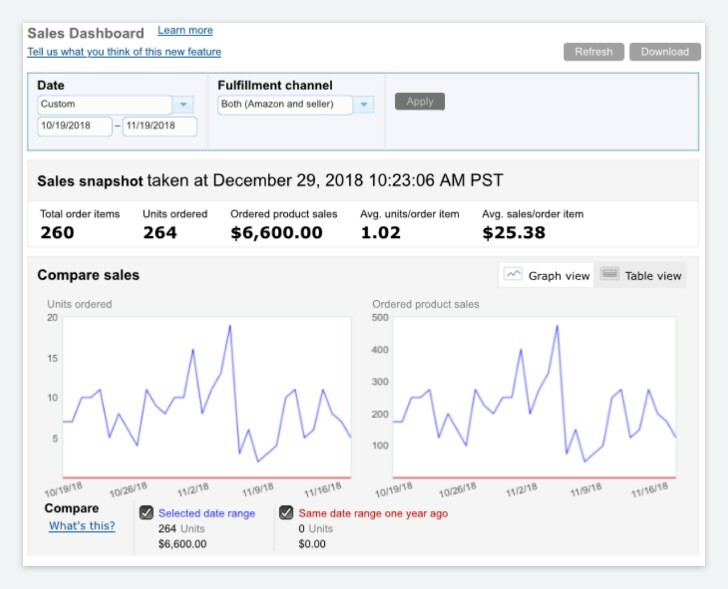 When he combed through the internet, looking for ways to generate a passive income, everyone seemed to be pointing him in the same direction: Amazon FBA. So many people do not get past this first step and, after learning what is involved in creating an Amazon business, get deterred and give up. It is not that Rishabh is oblivious to the challenges of opening and operating an Amazon business. As he told us his story, he counted off multiple instances in which he hit roadblocks. Initially, for instance, he found that his margins were getting squeezed by the high cost of paid advertising campaigns. After much trial and error, he found an optimal setting for his campaigns and now enjoys much healthier margins. Rishabh also had to rearrange his product photography to address an infringement violation that another seller unfairly leveled against him. It took a lot of back and forth with Amazon’s customer service department, but in the end, he won out. Having overcome these initial obstacles—and guided by his strong determination to succeed—Rishabh’s Amazon business is now flourishing. Rishabh is seeing thousands of dollars in sales per month from his first product and he is already looking to expand his product offerings. Based on the success of his first product, Rishabh believes he can dominate the niche in which he’s operating, and he has a vision for an expanded set of products that will allow him to do just that. As Rishabh’s business has grown, so too have his ambitions for it. Initially, he said, he viewed the business primarily as a learning experience, hoping above all that he would not lose money on it. Now, as sales have grown, he has begun to see how profitable it can be. As he adds more products, he reports that the business’s profitability will only grow. All things considered, if things keep up this way, when his next birthday comes around Rishabh may be celebrating not only turning another year older but also the growth and success of his Amazon business!